A new online service from RBC that helps you to build your financial future, meet with an advisor and grow your investments—all at no additional cost. Take control: View a snapshot of your cash flow, net worth and goals at any time from the MyAdvisor dashboard. Stay on track: MyAdvisor keeps an eye on your investments, sending you emails to let you know how you're doing. Watch Video for a quick a 1-minute tour of MyAdvisor. This service is available to RBC Investments clients who hold an RBC Mutual Fund, GIC or High Interest eSavings account. To get started, sign in to RBC Online Banking and click "MyAdvisor: your custom financial picture" on your Investments Accounts Summary and we’ll guide through your first goal in 10 mins. Enrollment in MyAdvisor is limited at this time. We are working to expand the MyAdvisor service to more clients. Answer a few questions online to build a personalized roadmap to your goals. 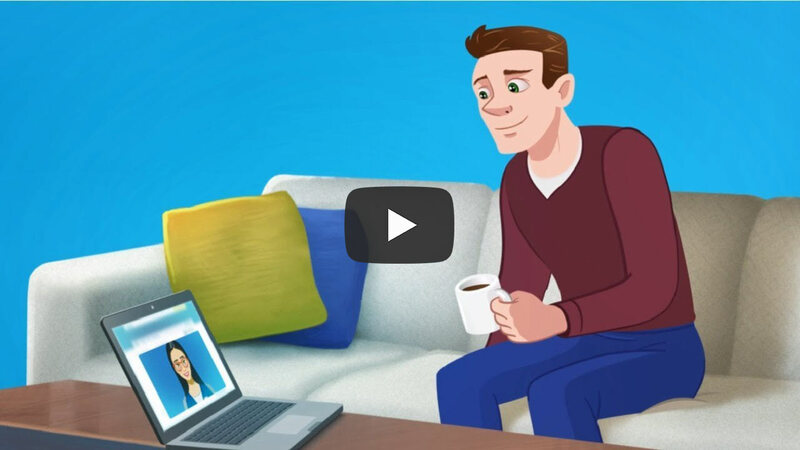 Book a 1-1 financial review with a live advisor and meet via video conference or phone. Track your progress and forecast your financial picture with interactive tools and alerts. Check in with an advisor at least once a year, or get advice anytime you need it. Being here is your first step – congratulations! Once you get started with MyAdvisor, we’ll ask you a few questions (takes about 10 minutes) and then you’ll meet with an advisor online or by phone. MyAdvisor is designed to make the process of planning and meeting your goals very simple. We help you to understand the numbers — how much money you have (your net worth) and you decide which goals you want to reach (the fun part). Above all, don’t worry. An advisor will help you when you need it. MyAdvisor will do most of the heavy lifting. You'll need to share some information about your goals. Think about how great you’ll feel when you achieve your first goal – whether it’s a beach vacation, buying a home or simply knowing you’re on the right path. Whether it’s retiring comfortably or leaving a legacy, many people struggle with this question. MyAdvisor helps you set your desired retirement age and gives you financial options to help you get there. Most people don’t know how their investments are performing. MyAdvisor will send you emails to let you know if you’re on track to reach your goals. What if I already have an advisor? Think of MyAdvisor as another member of your financial team. You’ll have easy access to online tools that track and forecast your progress and you can contact an advisor for guidance and recommendations whenever you need to at no additional cost. Sign in to RBC Online Banking and click "MyAdvisor: your custom financial picture" on your Investments Accounts Summary and we’ll guide through your first goal in 10 mins.